The Monday Club proudly presents our 13th annual Architectural Tour. This year’s event is features five San Luis Obispo adobes, highlighting history and cultures of the era. 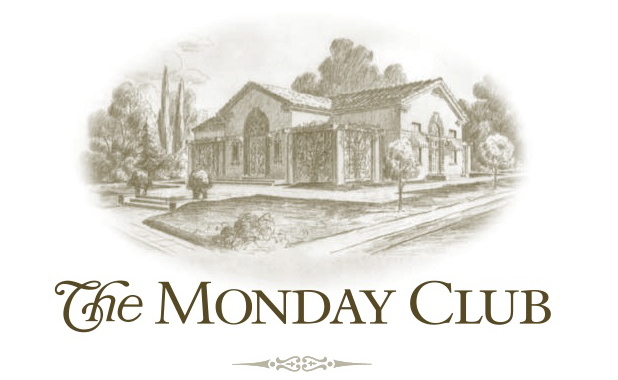 Roundtrip transportation starts at the historic Monday Club, 1815 Monterey Street, San Luis Obispo, and includes a short walking tour in downtown SLO. The clubhouse will be open with a Julia Morgan exhibit and refreshments. The five stops include the Bowden/La Loma adobe, the Mancillas/Freitas adobe, the Mission San Luis Obispo de Tolosa gardens, the Hays/Latimer adobe, and the Dallidet adobe. The Tour will include mission era food samplings at several of the locations, a local art show by SLOPE (San Luis Obispo Painters of the Environment) and music and dance entertainment. The combination of these special features will create an educational and culturally rich event. Proceeds from this event will be used for youth scholarships for music, fine arts, and scholastic achievement. Tickets are $40 in advance and are available at the Del Monte Café (1901 Santa Barbara St., San Luis Obispo), SLO Consignment (181 Tankfarm Road Suite 110, San Luis Obispo) by calling Mary Qualls at 303-587-7079, or on line at Brown Paper Tickets (BPT). Cash or checks; Credit Cards at SLO Consignment or BPT. Select tickets may be purchased for $45 at the door for based on availability.